Except for skin cancers, breast cancer is the most common cancer in women, but it can be successfully treated. Breast self-awareness is your best-bet strategy for helping to ensure your breast health. And this doesn't mean just performing occasional breast self-exams in the shower — which is a good tool for getting to know what is normal for you — but you need to know you. 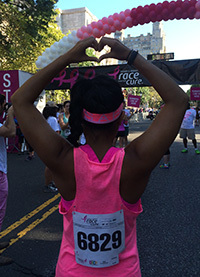 Does breast cancer run in your family? It's a good idea to find out. What screening tests are appropriate for your age and level of risk? Discuss both with your doctor and schedule your screenings appropriately. Take a look at our Four Steps to Breast Self-Awareness below and make sure you take care of you!